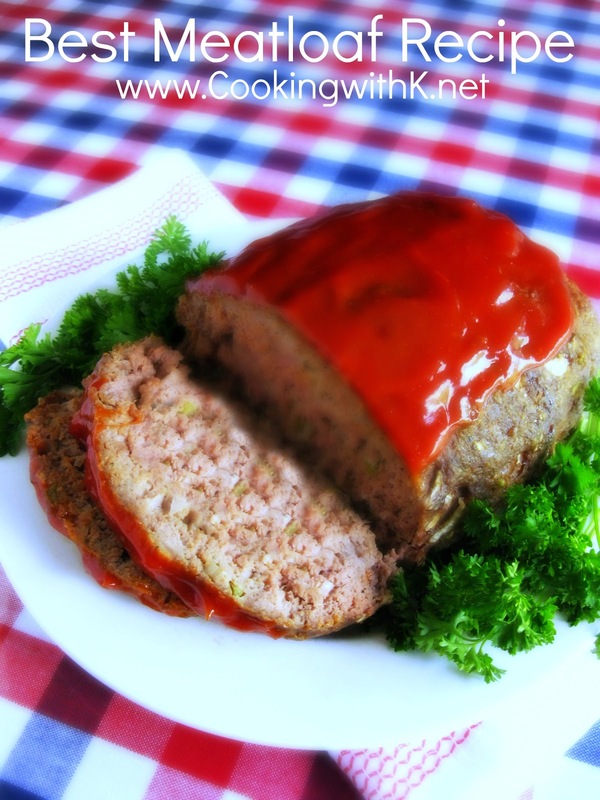 Old Fashioned Meatloaf Recipe, my Mother-in-law's recipe. She taught me early on to cook my meatloaf in a cast iron skillet, and it has never changed, and she also taught me not to forget to save the tripping for delicious tomato gravy. She would form her meatloaf in a bun and cook it with enough water about a third way up in the skillet. All those delicious juices make a wonderful gravy. She believed that a good meatloaf recipe is one that has a good ratio of fat in the hamburger. I use 85/15 and sometimes 80/20 which makes for a real moist and tender meatloaf. The leaner the meat the dryer your meatloaf will be. She always topped her meatloaf with ketchup, and there is only one brand of ketchup that will work in her house, and that is "Heinz." She would say, "you might as well make meatloaf another day if you are out." One thing I continued with--she believed in making plenty of this comfort food. When all my children were home, I would make two of these at a time just to have leftovers. There is nothing better than a good leftover meatloaf sandwich! I hope you get to make my mother-in-law's meatloaf recipe soon. It is absolutely the best recipe you will ever make. It is the moistest meatloaf and at the same time holds its shape when sliced. I am one of those who can't stand a dry meatloaf or one that falls apart when serving. It makes the perfect meatloaf sandwich! Preheat oven to 350 degrees F. Spray a 9 or 10-inch cast iron skillet with a nonstick cooking spray; set aside. In a large bowl, combine all the above ingredients, except for the water and ketchup, and mix until well blended. Be careful not to handle the meat mixture too much. Shape into a round bun and place in the cast iron skillet. Pour water a third of the way up in the skillet. Bake in the oven for 1 hour or until meatloaf is done. Spoon ketchup over the meatloaf and return to the oven for another 15 minutes. If the liquid has cooked down too much to make gravy add another 1/2 cup of water. Heat reserved juices from the skillet. Using a wire whisk, blend in cornstarch, stirring constantly. When all is incorporated, tomato sauce and 1 cup of water at a time. Stir the water in until thick and bubbly. If the gravy is too thick add more water, 1/2 cup at a time. Taste the gravy and season to your taste. I usually add the same seasonings that are in the meatloaf, salt, black pepper, garlic powder, and coriander. This recipe first published April 2012. Updated April 2017. HOLY COW....this sounds sooo good. I love a good meatloaf. I use my mother's recipe (why is it that the older the recipe, the better it is?) but I have never thought to do it in my iron skillet. I bake my biscuits in it...and use it for LOTS of things but never for meatloaf. Can't wait to try it. 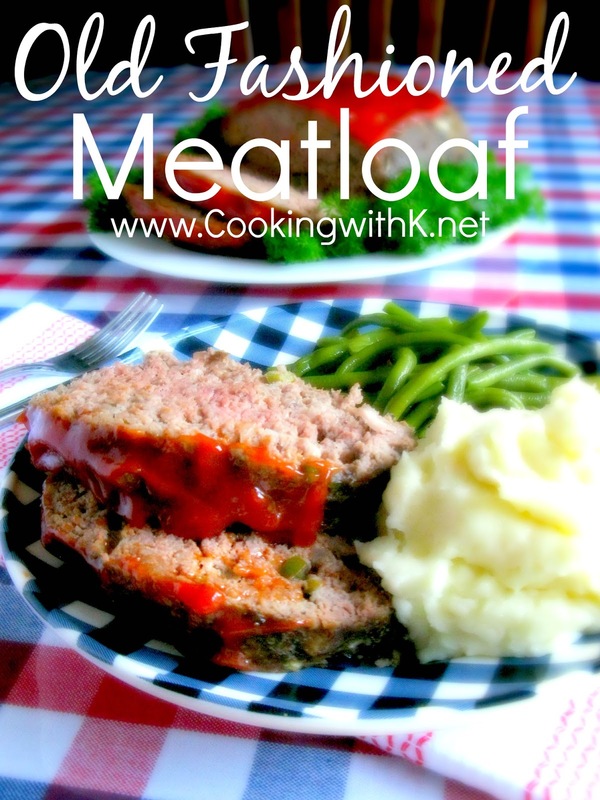 We love meatloaf too-I still make mine similar to my mother's method, which is almost like yours. I like the idea of having gravy with it; that's the way my MIL made it too. Making it now! Never heard of this method...we will test it for dinner! Love my very old iron skillet. Thank you. 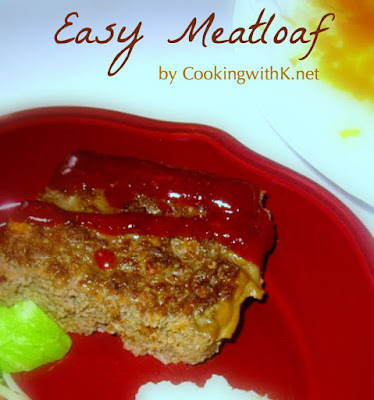 I'm always trying new meatloaf recipes. Thank you for this one. It looks moist and delicious. Mine had to cook for two hours but it was good!! Kids are usually very picky but they loved this!! Still nice and moist after 2 hours!!! Had to cook mine for 2 hours but it turned out great. Kids are usually very picky but they gobbled this one right up. Even though it cooked 2 hours still came out moist and delicious!! Thanks. I am so glad the kiddos enjoyed it. Not sure how thick you made it...but sometimes when I make it really thick and round it takes a little longer to cook...but yes...delicious!! Sounds so good! How many people does your recipe serve? I need to serve 8 adults and 3 children. The adults (all boys) can easily it between 2-3 servings! Kay - I'm SO excited about this recipe. 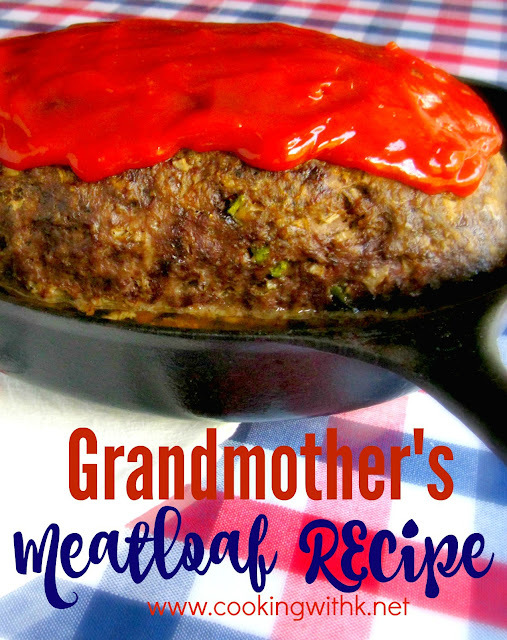 I love meatloaf and am always looking for ways to use my fairly new iron skillet. I do believe we'll enjoy this soon! So glad you shared. 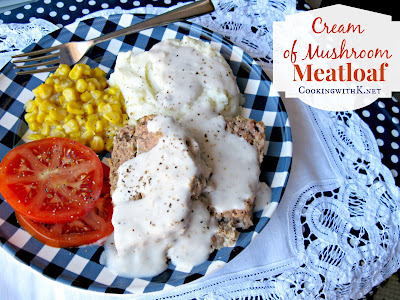 I am looking for recipe for meatloaf that you cook in iron skillet on top of stove. Does anyone have one. I have a question about your meatloaf recipe above. I'm single and don't cook much but this sounds yummy. 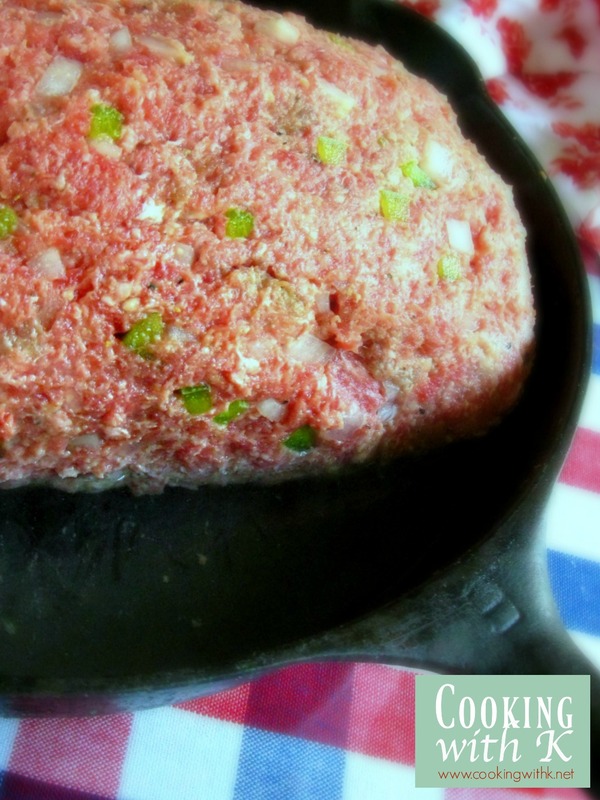 Do you put the water in the skillet itself with the meatloaf 1/2 way up or set it in a pan of water 1/2 way up? Stupid question I know, but wanted to make sure which way you meant. Thanks for letting me know. Sorry just now responding...Yes, you put the water in the skillet with the meatloaf and cook at the same time. Hope this helps. Again, sorry for the delay in responding. That looks delicious. I love meatloaf. Thanks for sharing at Home Sweet Home! This meat loaf is moist and flavorful. Another keeper! Thank you Gretta! ...and thank you for stopping by and welcome to CWK!